Gopeng is small town, just 2 1/2 hours away from Kuala Lumpur and it's not far from Ipoh, Kellies Castle and Bidor. Gopeng was once flourished with tin mining industry, and now Gopeng is flourished with eco-tourism and outdoor adventure. The town of Gopeng is surrounded by jungles, rivers, waterfalls, mountains, caves (Gua Tempurung), ponds, and villages. This makes Gopeng a great adventure destination! No time to get bored! You can enjoy the green scenery and tranquillity which cannot be found anywhere in the hustle and bustle of the city. Expect the cool and refreshing breeze and the originality of the surroundings in this resort as it is designed to be environmental friendly and make people to be close to the nature and make people love the nature. 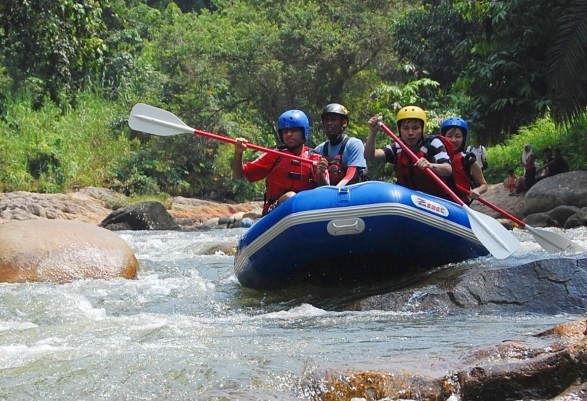 The main attraction of the region is the white water rafting. 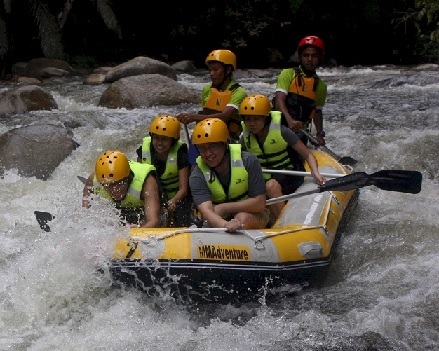 You will experience an exciting 1 � - 2 hours by river rafting through the rapids of the river Kampar. Depending on the weather conditions, the water can be wild or much wilder. 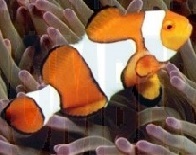 Children must be 12 years and must be able to swim very well. For safety reasons, safety briefing will be done before going down the river which covers the paddling commands, paddling skills, capsize drills, actions when overboard or river rescue. All participants will receive a PDF (Personal Floatation Device). If you get water, the PDF will keep you upright in the water. Swim suits, change of clothes, towel, torch, mosquito coils, insect repellent, personal toiletries, warm clothes, slipper, sun block lotion, old clothes for caving, climbing shoes, and a great sense of adventure for a fun time! Equipment, helmets, life jackets and abseiling devices except trekking boots. For abseilen you have to go to Ulu Geruntum which is a 30mins ride through a narrow tarred village road. The Geruntum waterfall is very popular for abseilen. 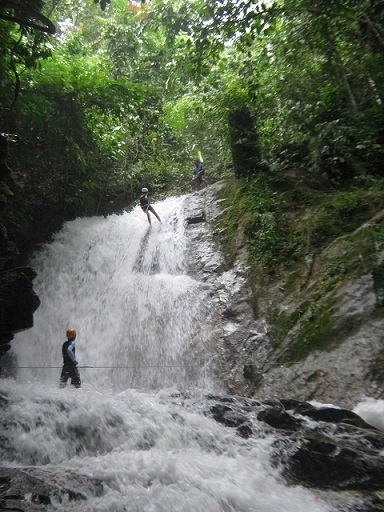 You'll be well equiped and you'll go slowly from the 15 meter high waterfall. It's not supposed to do this quickly. The water falls at great speed down. Do not expect a friendly, calm stream. The water thunders down 15 meters above. Take care to follow the instructions of the supervisors. They are friendly, knowledgeable and very good instructors. They take good care of you. There are also other water sports to do in the Sungei Kampar. So you can go Kayaking or River Tubing. The latter is going down the river in a tube. Body rafting (with safety vests down the river) also belongs to the possibilities. Of course, everything is done after a thorough explanation and under the guidance of an instructor. In the central area of Gopeng, there is an old bus station. There are mosques, Buddhist temples, Hindu temples and a Sikh temple located near each other. The Gopeng Police Station is located near the Gopeng Post Office and a field named as Padang Bandaran Gopeng. This area is considered the central area of Gopeng since the field is essential for the locals for various occasions, especially for local soccer matches and other special events. Central Gopeng is filled with old pre-war shophouses which are extremely valuable for conservation and perhaps tourist attractions. Among the most recognized places in the town centre, particularly nearby the Gopeng Bus Station is the Alif Cafe Restaurant, the local post office, the police station, Giat Mara Gopeng, Padang Bandaran Gopeng, Pasaraya Ku,the Goodyear Tyre Workshop and newly opened Indian restaurant Hega's Spice. The Gaharu Tea Valley has large tea trees instead of tea bushes, as in the Cameron Highlands. The Gaharu trees are large and tea leaves can not be as easy as picked in the Cameron Highlands. Gaharu tea is rich in essential minerals such as vitamins, calcium, zinc, iron and manganese. Gaharu leaves contain high levels of anti-aging and anti-cancer properties because of its high anti-oxidant contents. However, tea is not very important in this valley.The Gaharu Tea Valley in Gopeng has an impressive number of 200,000 gaharu trees. The gaharu trees also known as argawood, span through hundreds of acres of land with Ipoh�s beautiful limestone mountains as the backdrop. The gaharu tree when infected with mold, produces resin as a defense mechanism, resulting in an aromatic dark wood within the trunk. The dark wood is s of high commercial and medicinal value, whether it�s to be extracted for essential oil, perfume, burnt as incense or used for sculpturing. If you look at the trees closer, you will observe a lot of tiny holes where the molds are injected through. The gaharu has a beautiful Chinese name, literally meaning �sinking aroma�. The grades of gaharu wood are classified by their ability to sink. The more resinous the wood is, the more precious it is and the heavier it is, resulting the wood to sink completely into the water or only semi-sinking if the wood is not heavy enough. 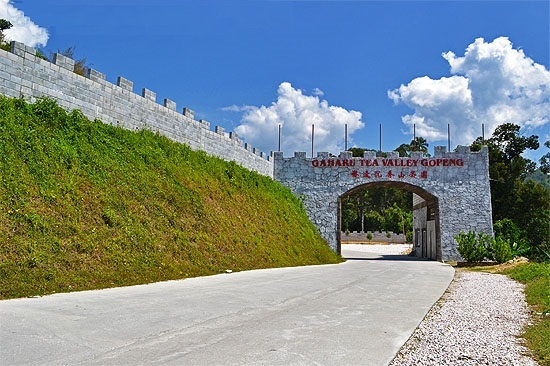 By the locals the Gaharu Tea Valley is also called "the Great Wall of Gopeng," because when you visit the plantation you have to drive through three-meter high gate, resembling the Chinese Wall. This wall was built to protect the Gaharu trees. Agarwood has many names for the resinous, fragrant heartwood. Most commonly, the resin is known as agarwood, aloeswood, eaglewood, gaharu, agalocha or oudh (In Arabic). Agarwood is reputed to be the most expensive wood in the world. Deep within the jungle of Malaysia is one of the most majestic white marble and limestone towers called Gua Tempurung. Concealed within this limestone massif is an intricate system of caves of various dimensions honey combed inside the limestone hills. When exploring the cave one would have to crawl to fit through the labyrinth of stalagmites and stalactites. Bats could be heard squealing in the high caverns throughout the cave lending a very surreal atmosphere to the entire experience. It's all pitch black once you're in the cave and having flashlight is a must to all. A stalagmite aged over 2 million years old stands majestically right in the center of the cave that will make you appreciate more the wonder of nature. At the base of this ancient stalagmite is a running river. Where pebbles from the river are so tempting that you need to get hold of them and keep it as a souvenir. When you finally reached the exit of the cave and you will see the sunlight filters down through the lush jungle greenery, with monkeys and birds frolicking all about, you are now truly in God's kingdom. 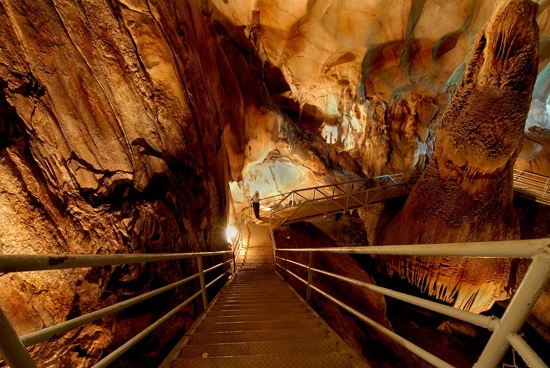 The operation hours of the cave is from 9:00am to 5:00pm everyday.